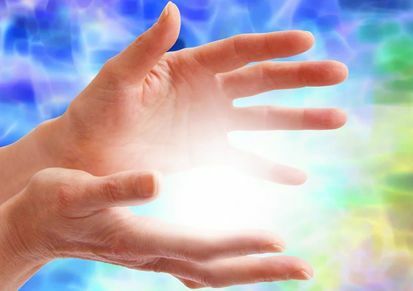 Reiki is a form of hands-on energy healing that allows someone attuned to the Reiki energy to channel it to themselves of others. The people receiving the energy draw it in, and the Reiki flows to where it is needed to help heal issues of the body, mind, and spirit. Reiki always goes where it is most needed and serves the highest and greatest good of the person receiving it. Reiki cannot be channeled without an attunement, so attunements to each level are included as part of the class. After Level I and Level II you are qualified to take the next level to become a Reiki Master. Karen Frazier is author of several paranormal and metaphysical titles including Crystals for Healing, The Higher Vibes Toolbox: Vibrational Healing for an Empowered Life, Avalanche of Spirits: The Ghosts of Wellington, Dancing with the Afterlife, and the upcoming Crystals for Beginners. She also writes cookbooks for people on special diets and serves as the editor of Health and Entertainment categories for the website LoveToKnow. Karen is a member of Spirit Healing and Resolution (SHARe), a collective of psychic mediums and energy healers helping people having unusual or paranormal experiences. Karen writes a monthly dream interpretation column for Paranormal Underground magazine in which she interprets readers’ dreams. She is an intuitive energy healer, psychic medium, Reiki master, crystal Reiki master, animal Reiki master, and an ordained metaphysical minister. Karen holds a bachelors and masters in metaphysics and a PhD in metaphysical parapsychology, and she’s currently working on her dissertation to earn a Doctor of Divinity (DD) in Spiritual Healing. 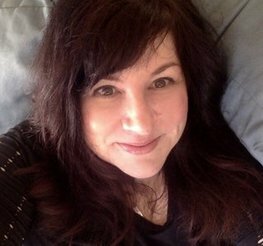 She writes a monthly metaphysics and energy healing column for Paranormal Underground and served as the co-host of Paranormal Underground Radio for more than eight years. You can learn more at her website, AuthorKarenFrazier.com. ​Contact us if you would prefer to pay via PayPal or mail a check. Secure Checkout accepts Credit Cards, Apple Pay, Android Pay and PayPal. ​Contact Us if you would like to pay by cash or check. Vision8Studio classes and workshops are non-refundable, but are transferable.